The biggest Space NK USA’s free beauty box – Space NK x IcanGWP Singles Day 2018 has begun. See exclusive promo code below. The legendary Space NK gift with purchase worth $549+ is live now online for IcanGWP.com readers at us.spacenk.com! Space NK US is hosting their Space NK gift with purchase – Worth over $500, spend $185+ for a Space NK bag filled with 28 beauty must-haves. Extremely limited availability. Here’s the direct link to this year biggest Space NK goody bag. Plus, get an extra deluxe gift and double points for N.Dulge member! UPDATE 11/9: Free full-size Natura Bisse Diamond Cocoon Ultimate Shield Mist when you buy the Natura Bisse Diamond Cocoon Skin Booster Concentrate $250. Also, you can buy VINTNERS DAUGHTER Active Botanical Serum and get the exclusive gift bag (very rare). UPDATE 9:24AM PST: the coupon code works again, it’s really extremely limited amount, don’t miss out!! Space NK US (NEW) Spend $185+ for a beauty bag GWP worth over $500. Use IcanGWP Singles Days exclusive coupon code: ICANGWPSINGLES on the Shopping Bag Page, ends 11/11 or while supplies last. Eve Lom Cleanser & Eve Lom Muslin Cloth – Full size $50 – $135 and $22, respectively. (NEW) GIFT 2: Choose free deluxe size gift with your $50+ purchase – no promo code needed. Select your freebie at checkout! Holiday Preview page. Oribe Gold Lust Collection See New In. Space NK exclusives. Space NK USA Advent Calendar $250 Worth $650 // BUY NOW available now. Our first ever beauty calendar is housed in an opulent emerald green and burgundy open-out box. 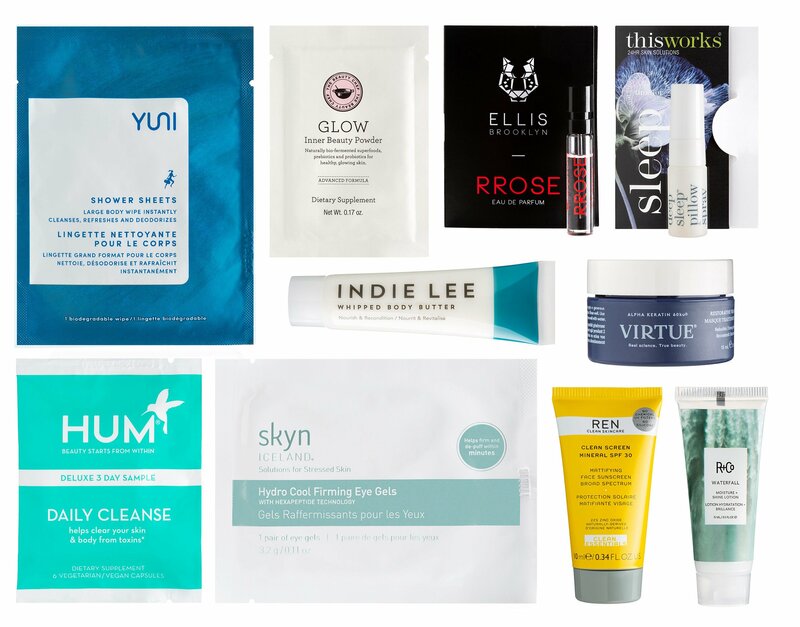 Hidden within each of the 25 pull-out drawers is a beauty favorite from new brands including Votary as well as bestsellers from, Sunday Riley, Diptyque and more. This one-off, seasonal extravaganza is only available while stocks last. Don’t miss out on what promises to be the ultimate countdown to Christmas. Kevyn Aucoin The Expert Mascara 0.391fl.oz: Made with xlash peptide, this classic black mascara helps restore softness to brittle eyelashes while Japanese camellia oil helps fortify and strengthen. Oribe Gold Lust Shampoo 50ml Comprising a blend of centuries-old healing oils, this rejuvenating cleanser helps balance the scalp and restores hair to its glossiest, healthiest prime. Oribe Gold Lust Conditioner 50ml Formulated with hair-friendly ingredients to help restore the natural oils and vitality of hair, this restorative conditioner leaves hair feeling silky soft and shiny. Sunday Riley Good Genes Treatment 15ml Enriched with brightening vitamin C, this luxurious moisturizer sinks into the skin to even the complexion and address visible signs of ageing. Omorovicza Queen of Hungary Mist 30ml Fragranced with rose and neroli, this toner can be used after cleansing to refresh and tone the complexion, or after the application of makeup to set it in place. Eve Lom Cleanser 50ml Decongest and cleanse skin with this multi-awardwinning cleansing balm infused with a signature blend of four aromatic plant oils. Diptyque Baies Mini Candle 70g A bouquet of blackcurrant leaves and Bulgarian rose blend beautifully to create this exclusive, signature scent. Space NK Best of Space NK Trending Now Beauty Box $79. Approx $170+ value. Discover Sunday Riley’s C.E.O. C + E Antioxidant Protect + Repair Moisturizer, R+CO’s Spiritualized Dry Shampoo Mist, Christophe Robin’s Cleansing Purifying Scrub with Sea Salt, Rodial’s Glamolash Mascara XXL and Ilia’s Multi-Stick in Lady Bird. 111skin Iconic Edit $140 Exclusive. An exclusive introduction to 111SKIN; this prestigious collection provides the perfect prep for a rejuvenated complexion. ‘Tis the season for sumptuous skin. This captivating collection works to achieve soiree-ready skin through devoted brightening and resplendence-focused formulas. Included is the indulgent Rose Gold Facial Treatment Mask – as worn by Victoria’s Secret Models – and the hydration-injecting Hyaluronic Acid Aqua Booster, for a truly beautiful and incandescent complexion to light up the dancefloor. Thanks us.spacenk.com team ❤ for providing this great offer! This is the best value, best gift and one of the best offers from Space NK USA this year, don’t miss out! The IcanGWP Singles Day Exclusive offer is to receive free gift bag when you spend $185, while supplies last. Your order must total $185 or more on products before delivery has been added and the promotional code ICANGWPSINGLES must also be entered in the promo code box on the shopping bag page, before checkout. One use per customer. This offer cannot be used in conjunction with GWPs, double point or birthday gifts. And it will exclude Vintern’s Daughter. This offer can be used in conjunction with our free shipping over $50 and three free sample at checkout. This offer applies online only on the us.spacenk.com site, not the UK site and is not available in-store. This offer is only available online between Nov 9th, 2018-Nov 11st, 2018 and we reserve the right to end it early or extend it without notice. Please note that all gift card purchases are excluded from this promotion. The offer is not refundable and there is no cash value/alternative. The offer cannot be exchanged in stores or online for another product. Terms and conditions apply disclosed here. Is this already sold out? I just had it in my cart then it said it was not valid anymore. Hi Carol, it may be sold out. I’m contacting them now and will update to you when they get back. Hi Carol, it’s back! The coupon code is working now! Yay! thank you for checking. I just got a couple gift sets so this is an amazing added perk for getting my shopping done early! I’m so happy with you and glad you can get it before it’s OOS. I was so scared that it won’t last until tomorrow. Thanks for stopping by and enjoy the gift, Carol! Thanks a lot for the info. I just tried the code and it says: promo code unknown. Not sure why? I have + $200 in my cart. Hi GMForever. It may be sold out. I’m contacting them now and will update to you when they get back. It’s back! The coupon code is working now! Thanks for your kind words! I hope you enjoy the goodies! Happy Holiday! I’m not able to add the GWP even though the cart total is over $200. Is anyone else having this problem? Hi Anne, it may be OOS. I will update when they get back. Hi again, my apologies for the technical issue. It’s back! The coupon code is working now! Just placed my order! Your blog is the best! The postings are top-notch! You just made my day Anne! Thanks for your kind words!! Enjoy the goodies!!! I’m getting this message Promo code “ICANGWPSINGLES” is unknown any idea why? Hi Linda, my apologies to everyone. It may be OOS now. I’ll update once they get back to me. It’s back! The exclusive coupon code is working now! ah fingers crossed it comes back — this is the best GWP I’ve seen in a long time! Hi Addison, it is a no brainer deal and extremely limited amount. It’s back and while supplies last only. Thanks everyone for stopping by and my sincere apologies for the technical issue. SO, so excited for this — thank you so much! Yeah, you’re so welcome Addison! Thanks for the info. Decided to get the Advent Calendar. Does anyone know the sizes of the GWP? Nevermind, I found your Awesome old post with all the info! Looks great! Awesome! Enjoy the goodies Vicki! Katie – thank you so so much (and thank you SpaceNK too!). This contents of this gwp will be shared with more than one person – thank you for enabling me to spoil them! Aww… you are so welcome and I’ll pass it to SpaceNK team!! I hope all your recipients enjoy the gifts! Thanks for stopping by! You are welcome! I’m glad the gift with purchase is offering at a good time to grab holiday beauty. Enjoy the candles and the beauty box! Hi! Just wanted to let you know that I tried yesterday and today and could never get it to work for me 😦 Including right when you posted it was back! Hi Jane, I’m sorry to hear that. Is it possible that the cart contains Vintner’s Daughter, gift card or sale items? Hope that’s helpful! Yeah! Enjoy the goodies, Jane! I almost purchased based on your list with full size written beside the products. Had everything in my cart and then looked closer at the picture and saw they are not full size. Please only list full size prices if the product being received is actually full size. It makes for a very misleading post. Hi Cynthia, thanks for the recommendation! I’ll update the post. My apologies. Ordered on Wednesday + already received my package today! SUCH an incredible deal – thank you, thank you, THANK YOU! You got it already!! Yeah! You’re so welcome Addison. Happy Holiday and enjoy the gift! Thank you Katie for all you do to “feed” my GWP addiction!!! I decided to splurge for the Space Advent Calendar & I’m so excited to get the amazing goodie bag!!! I love your blog & appreciate all you do. Happy holidays! You’re so welcome Lisa! I’m so happy with you and thanks for your kind words. It means so much for me. Enjoy the goody bag! Happy holidays! Katie.